When we handle Excel spreadsheet, we usually need insert Excel rows to add data information. Insert Excel rows in Excel worksheet can be very easy through Microsoft Excel. Here in this post, you will learn another solution to insert Excel rows which you even don’t need Microsoft Excel installed on system. This solution requires some basic programming skills because we will use C# to insert Excel rows. With the help of Spire.XLS, we can easily use C# to insert Excel rows. Download Spire.XLS and installed on system. Follow the simple guide below to insert Excel rows. Put the Excel file into the project folder. Use the code below to load Excl workbook in which we will insert rows in. By using Spire.XLS, we can insert multiple rows in Excel worksheet and also can insert single row. Furthermore, Spire.XLS allows uses to set the rows style at will. 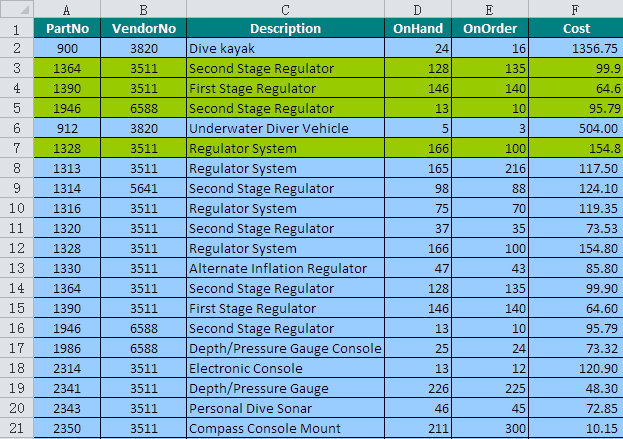 When we handle Excel spreadsheet, we usually need insert Excel columns to add data information. Insert Excel columns in Excel worksheet can be very easy through Microsoft Excel. Here in this post, you will learn another solution to insert Excel columns which you even don’t need Microsoft Excel installed on system. This solution requires some basic programming skills because we will use C# to insert Excel columns. With the help of Spire.XLS, we can easily use C# to insert Excel columns. Download Spire.XLS and installed on system. Follow the simple guide below to insert Excel columns. Put the Excel file which we want to insert columns into project folder. Use the code below to load it into the project. We can use Spire.XLS to insert one column with data information. And we can also insert multiple columns with data information either. Furthermore, Spire.XLS enables users to set format. Nowadays, most of us choose Microsoft Excel to design, edit and store important data information. MS Excel is perfectly compatible with other financial and data manipulation software. On the other hand, because of internet, HTML files become as popular as other hot file format. To upload information on internet, create and design HTML file is one of the most usual method. This post will show you how to convert Excel to HTML by using C# code. Spire.XLS is a professional Excel component which enables developers/programmers to fast generate, read, write and modify Excel document for .NET and Silverlight. Make sure Spire.XLS and Visual Studio are correctly installed on system. Follow the simple guide below to convert Excel to HTML. Spire.XLS presents an easy solution to convert Excel to HTML. First, load Excel file from local PC. Then, use Spire.XLS to save the Excel file as HTML format. Spire.XLS will remain all the styles from the original Excel files. Press F5 to start the project and then an HTML file will generated in the project folder, bin->debug. It is a basic function to copy Excel cells in Microsoft Excel program. Most of us will use the copy function in our daily Excel develop jobs and that’s really convenient especially for a large content. In this article you will find a solution to copy Excel cell content including styles with C#. Make sure Spire.XLS and Visual Studio are correctly installed on system. Follow the simple instruction below to copy Excel cells. Put the Excel file which has the cells we need copy into the project folder and use the code below to load it into the project. Select the cell range which we need copy and use the simple one sentence code below to copy the content and style into another area. The following code can save the Excel file and preview the effect after launch the program. Pie chart is a special chart that uses "pie slices" to show relative sizes of data. It is divided into sectors and each sector visually represents an item in a data set to match the amount of the item as a percentage or fraction of the total data set. Pie chart is useful to compare different parts of a whole amount. Pie chart is an easy way to display your data to a group or another individual. In Microsoft Excel worksheet, pie chart is one of the most popular charts. Unlike other charts, pie chart requires the data in your worksheet be contained in only one row or column. 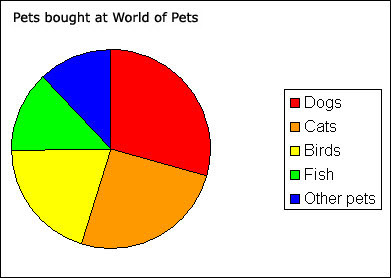 By using Microsoft Excel, you can quickly turn your data into a pie chart, and then give it a spiffy, professional look. However, without Microsoft Excel, we can also do this job easily. With C# we can create Pie Chart in Excel without Microsoft Excel installed on system. Through the help of Spire.XLS, we can do this job effortlessly. 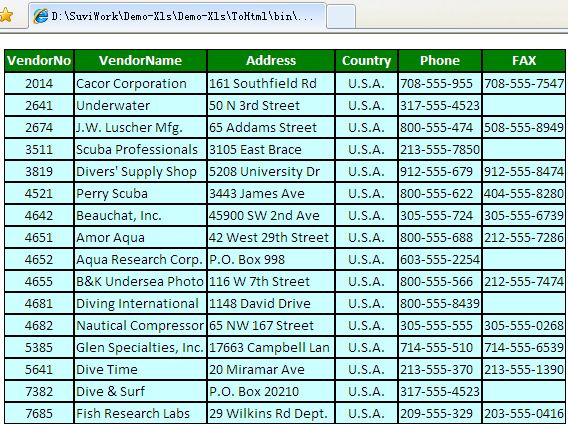 Spire.XLS is a professiona .NET Excel component which enables developers to operate Excel file via C#/VB.NET/Silverlight. Make sure Spire.XLS and Visual Studio are correctly installed on system. Follow the simple steps below to create pie chart in Excel. We can use Spire.XLs to create an Excel spreadsheet for later usage on creating column chart. Write some data into the Excel spreadsheet. To make the data with a nice appearance we can use Spire.XLS to set styles, borders and number format. Now, according to the data above, we can create a pie chart in Excel worksheet and set some parameters like position and title. Column chart also known as bar chart is a professional way to present many different types of data. It is a chart with rectangular bars of lengths usually proportional to the magnitudes or frequencies of what they represent. The bars can be horizontally or vertically oriented. Usually column chart is vertically oriented bars and bar chart is with horizontally oriented bars. In column charts, categories are typically organized along the horizontal axis and values along the vertical axis. Column chart in Excel is useful for showing data changes over a period of time or for illustrating comparisons among items. In this post, you will be introduced a solution of using C# to create column chart in Excel. How to Create Column chart in Excel via C#? In the former post we introduced how to use Spire.XLS to create line chart in Excel. Here we can still use Spire.XLS to create column chart in Excel via C#. Make sure Spire.XLS and Visual Studio are correctly installed on system. Follow the simple steps below to create column chart in Excel. Write some data into the Excel spreadsheet. By using Spire.XLS we can set styles, borders and number format. 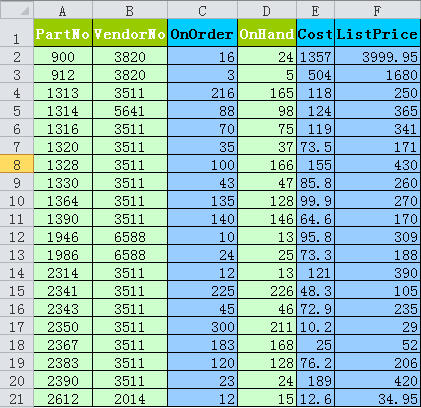 Create column chart in Excel according to the data information we import above. Spire.XLS allows us to set chart position, title and other parameters. 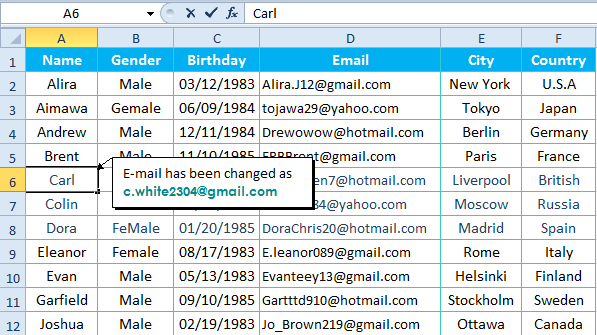 Adding cell comments in Excel spreadsheet was first introduced in Excel 97. Cell comments enable Excel developers to explain remind or inform the content of a cell or range of cells. 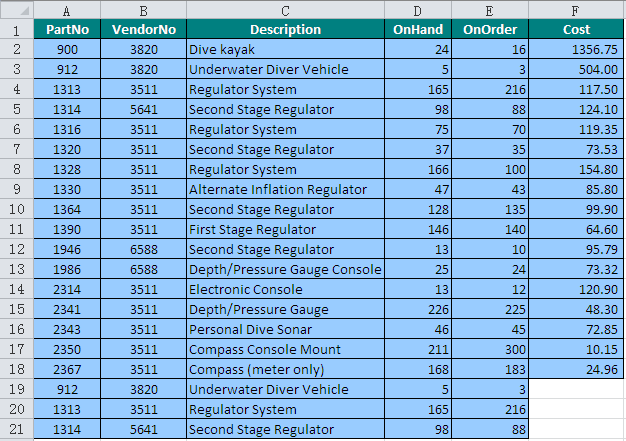 Excel spreadsheet allows author to add cell comments as cell description which can help users to understand complex logic and know the data cells more deeply. There are many methods to add cell comments. This post will show you add cell comments through C#. How to Add Cell Comments via C#? Use C# to add cell comments can be very easy through the help of Spire.XLS, a professional .NET/Silverlight XLS component. Ensure Spire.XLS and Visual Studio correctly installed on system. Follow the simple guide below to add cell comments via C#. Create a C#/VB.NET project in your visual studio. Add Spire.XLS.dll as reference. The default setting of Spire.Xls.dll is placed under “C:\Program Files\e-iceblue\Spire.Xls\Bin”. Select assembly Spire.Xls.dll and click OK to add it to the project. Put the Excel file which we want to add cell comments into the project folder. Use the following code to load it into the project. By using Spire.XLS, we can add cell comments with styles. We can set text comments with different font and color. After set text style, then add cell comments. Select cells range which we want to add comments. In addition, with Spire.XLS, users can even set comments area size. Start the project and preview the effect. Charts or graphs can make it much easier to interpret important data in an Excel spreadsheet. They make it easy for users to draw attention to data trends and patterns that might otherwise be difficult to see. Line chart is one of the most popular one. Like most of other charts, line chart also has a vertical axis and a horizontal axis. It is often used to plot changes in data over time, such as monthly temperature changes or daily changes in stock market prices. In Excel, line chart is a type of graph which displays information as a series of data points connected by straight line segments. When individual data points are connected by lines, line charts can clearly show changes in your data such as how temperature changes monthly. Users can use these changes to predict future results. However, because the Chart Wizard is no longer available in the latest version of Excel, creating charts is quite a bit different. Anyway, this article is showing you another solution of creating charts in Excel - C# create line chart in Excel. Use C# to create line chart in Excel can be very easy through Spire.XLS, which is a professional all-in-one .NET/Silverlight Excel component. Make sure Spire.XLS and Visual Studio are correctly installed on system. Follow the simple steps below to create line chart in Excel. We can use Spire.XLS to create a new Excel Worksheet for storing line chart. Spire.XLS allows Excel developers to set line chart parameters at will. After create line chart, we still need import data information into the chart. After finish all the coding, press F5 to start the project. Check the effective screenshot. Add background color to highlight column labels or totals can make Excel Spreadsheet easier to read and use. 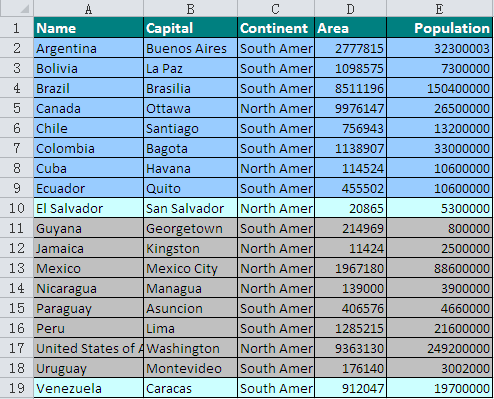 This posting will show you a solution of how to add background color into Excel spreadsheet. Microsoft Excel supports colors for fonts and background fills through color palette which is an array or series of 56 RGB colors. We can the Patterns option to add Excel background color and patterns through Microsoft Excel. But here we don't use Microsoft Excel. Through C#, we can also add Excel background color without any help of Microsoft Excel. Through the help of Spire.XLS, Excel developers can easily use C# add Excel background color. Spire.XLS is an all-in-one .NET/Silverlight Excel component which can use C#/VB.NET/Silverlight to operate Excel files without Microsoft Excel installed on system. Make sure Spire.XLS and Visual Studio are correctly installed on system. Follow the guide below to add Excel background color. Put the Excel file which we need add background color into the project folder. Use the following code to load it into the project. Spire.XLS allows users to choose the Excel cell range and offers many color choices. After adding Excel background color, use the code below to save and preview. Press F5 to start the project and an Excel file will be generated automatically.